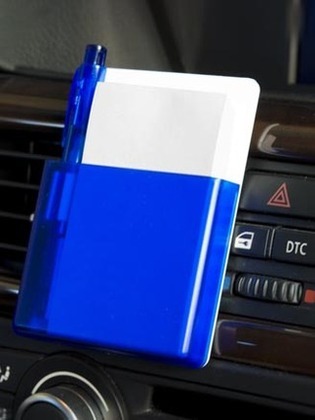 Attach this to your car air vent and hey presto a handy notepad and pen holder! Outer is made with ABS and the 50 sheets of inner pages are made from wood free paper. Ideal for employees that travel by car for work or to promote travel and distribution companies, trade shows or product launches.